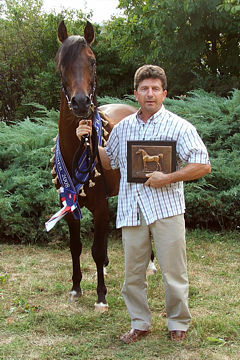 Breeder and Owner: Michalow Stud. 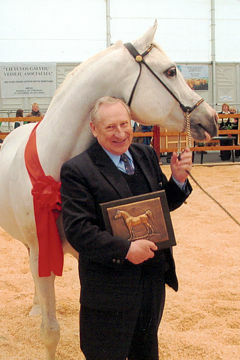 The outstanding mare Emandoria was honoured with the award of Poland’s 2016 WAHO Trophy for her stellar achievements both in the show-ring and as a broodmare of increasing international importance. 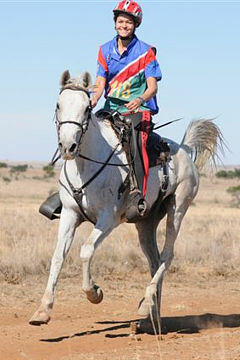 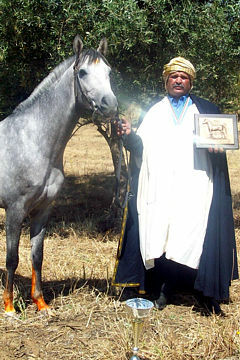 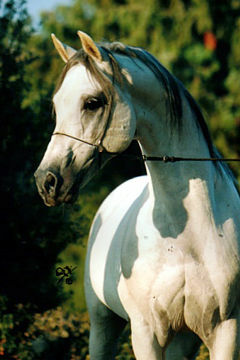 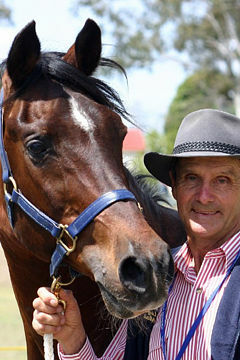 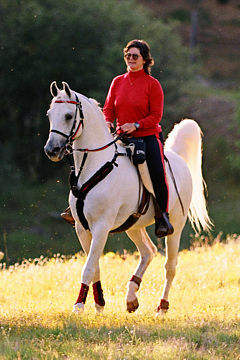 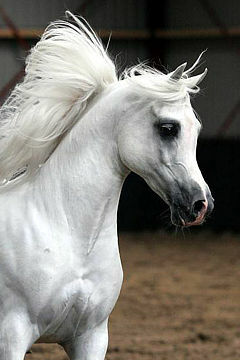 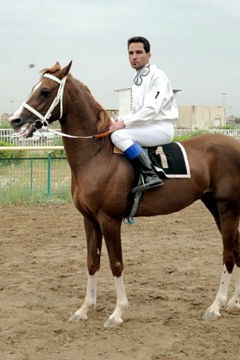 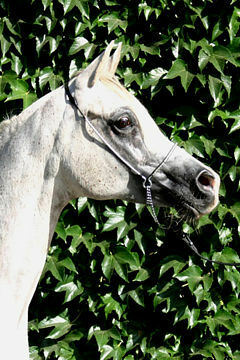 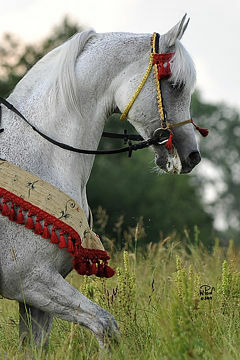 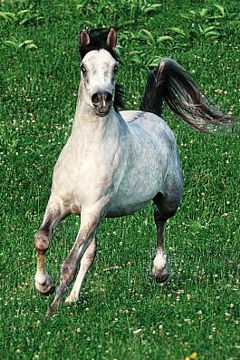 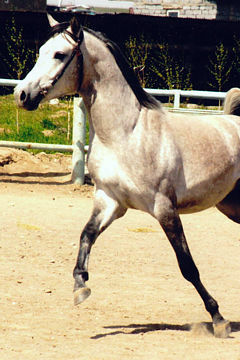 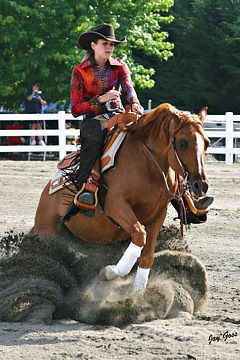 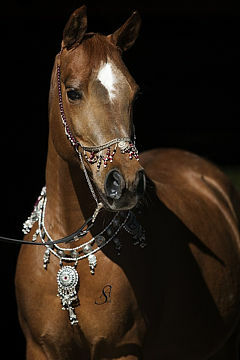 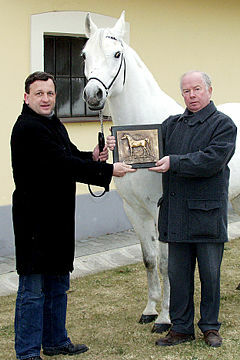 Both her sire and her dam are World Champions in the show ring and her female line is probably the most significant ever to originate from her home stud, the world-famous Michalow “E” line created and nurtured for over half a century by the master breeders Mr. Ignacy Jaworowski and Mr. Jerzy Bialobok. 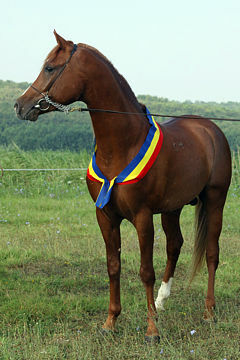 Emandoria herself represents the eighth successive generation of champions from this damline, descending from one of Michalow’s foundation broodmares, Estokada (1951, Amurath Sahib/Saga). 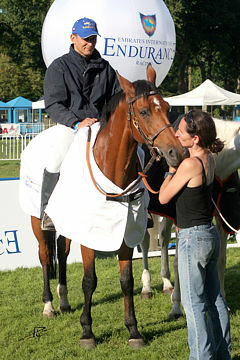 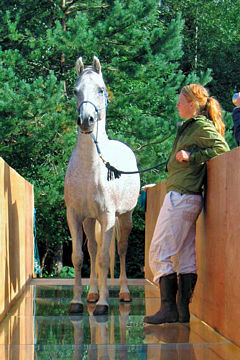 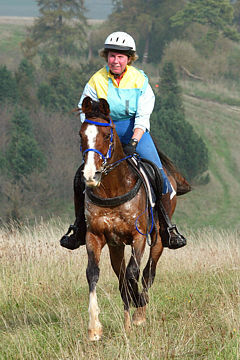 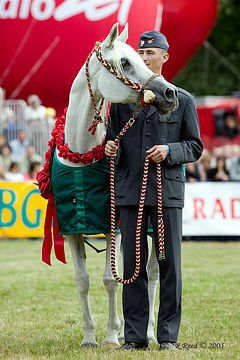 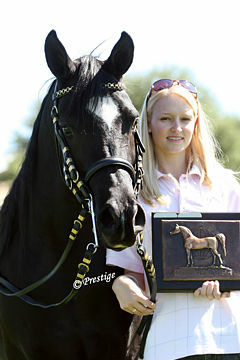 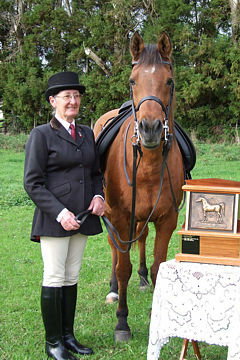 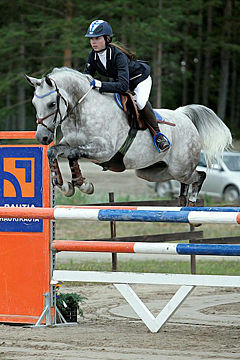 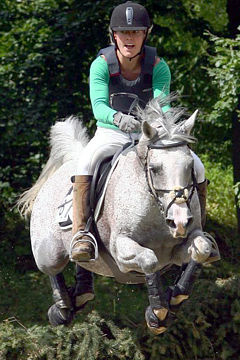 Emandoria with Urszula and Jerzy Bialobok on the occasion of winning the Polish National Champion Mare title in 2009. 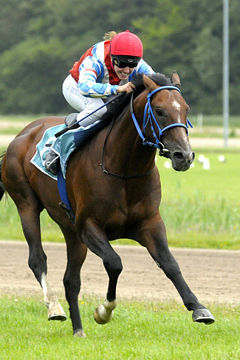 As a broodmare, while on lease to USA and to Ajman Stud in the UAE as well as for her home stud in Poland, Emandoria has proved herself to be an outstanding producer. 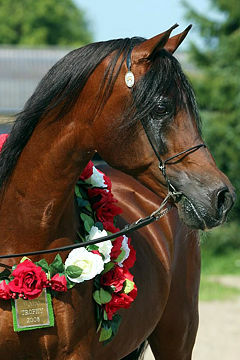 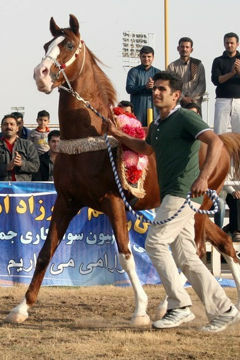 To date she has had 11 foals, some of those in USA by embryo transfer, included among them are the successful show stallion and sire of champions Emerald J (by QR Marc) and the beautiful chestnut yearling filly Emanolla (by Vitorio TO). 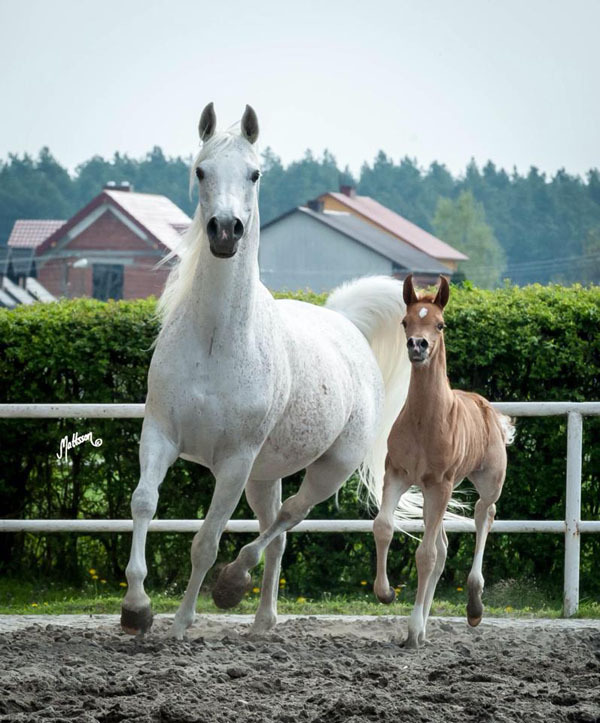 In 2016, she gave birth to a full sister to Emanolla. 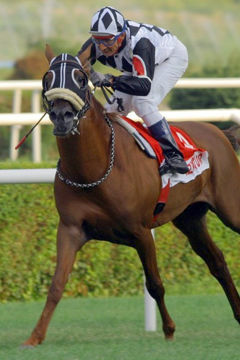 Still in the prime of her life, it is hoped that this exceptional mare, who has been such a good ambassador for Michalow Stud over the years, will go on to produce yet more superb foals to carry on this very special legacy that she herself has done so much to enhance.